A simple two-storey base frame due to building law restrictions that takes up exterior and interior reference points with subordinated three-dimensional elements and opens up and showcases the building and its form in an exciting way. 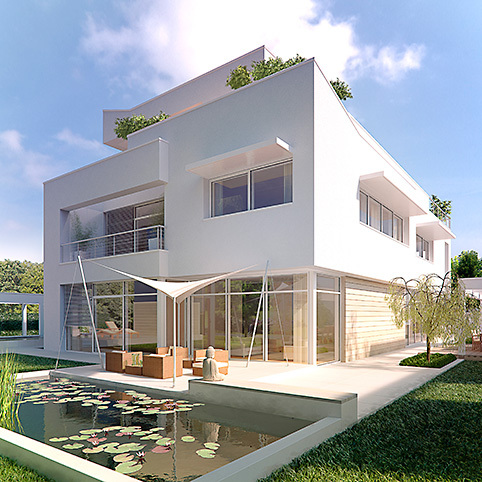 The villa is crowned by the dynamic roof architecture, including the large roof terrace. The exterior spaces complement the open interior and are spatially framed by corresponding architectural elements at the edges of the plot.